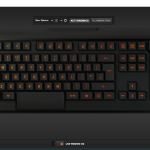 Full specification and a description of the keyboard can be found on SteelSeries’ website. Before getting into the build quality of the M800, I would like to describe the package contents. I felt the contents were really lacking, especially for a keyboard that’s quite expensive. At the price of £80 for the original Apex, I could somewhat understand, however even then, other keyboards that are cheaper come with some accessories and it was disappointing to not really find any accessories, mainly the lack of a key puller, additional “gaming set” of keys (such as WASD and additional arrow keys), and more than anything a wrist rest, which to me was the thing that really bothered me. With what’s included, I really like the rubber risers that are included. 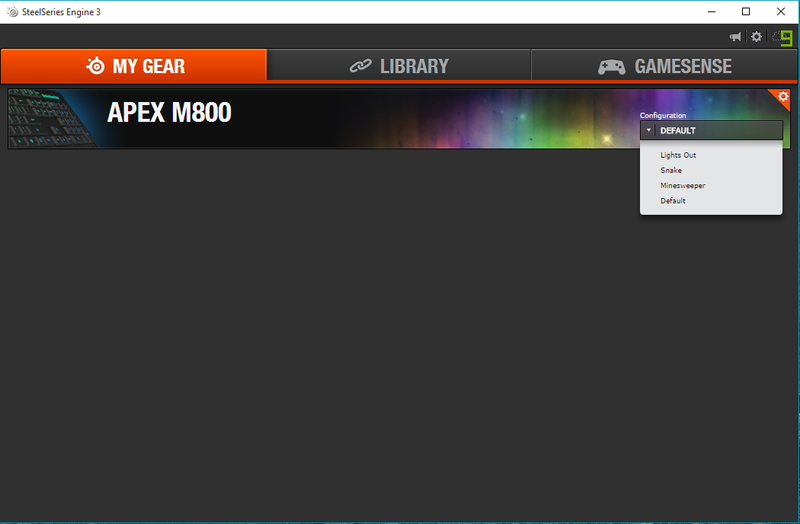 It’s exactly what was included in the original Apex, and it’s nice to see it being used by SteelSeries again in the M800. 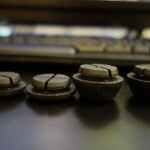 It might not seem like much, but those plastic keyboard risers can get broken relatively easy and by having a rubber riser, it prevents any breakage happening and doubles up as giving the keyboard some grip on slippery surfaces. Now moving on to the build quality of the keyboard itself. First of all, the keyboard is connected and powered by a gold-plated USB. There is a secondary USB cable which is used to power and utilise the two USB 2.0 ports that can be found at the front side of the keyboard. This allows quick access to a USB slot, without having to go behind the PC/monitor. 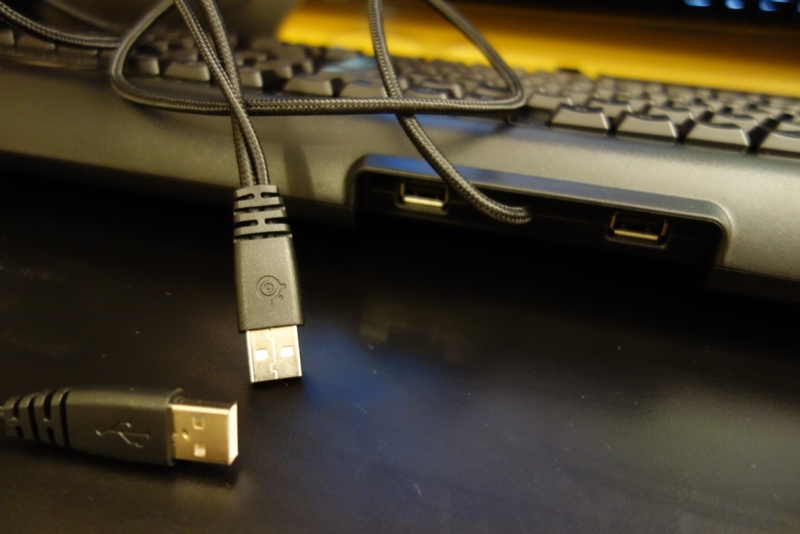 I would have liked to see USB 3.0 used, as in this day and age there are far more USB 3.0 devices and motherboards out there – and furthermore the cost has greatly reduced over time for both consumers and manufacturers. On a separate note the cable that connects the keyboard is braided, and it’s nice to see this type of cable being used by SteelSeries. Now looking more closely at the keyboard itself, it was nice to see some key features being utilised. 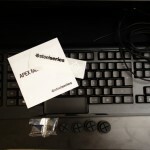 What really caught my eye, literally speaking, was the SteelSeries button, that transforms the F5 to F12 keys into dedicated media keys. What I like about this is not only the fact that it is super responsive and colour illuminated, but that SteelSeries have thought of a way to integrate the feature, without clogging up the keyboard – as with the original Apex, with all its Macros, it meant it was overly big – and its dedicated media keys (despite being useful) added to the clutter on the keyboard. Therefore, the M800 has the ability to up/down brightness, previous/next, play/pause, stop and vol+/-. To add to all of this, the clever inclusion of having the Windows lock there is very well thought out. 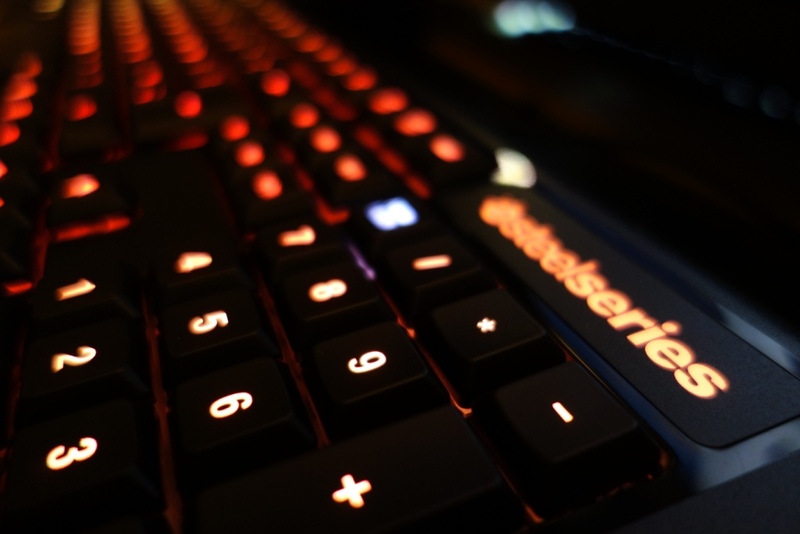 By pressing the SteelSeries button and then the left Windows key, it does a Win-Lock, something that’s useful for gamers alike. Moving on is the 6 programmable keys that can be found on the left-hand side of the keyboard. These are pretty standard nowadays, however I was disappointed with the lack of an easy mapping function for these keys. By this I mean the fact that I couldn’t simply map one of these keys with Win+3, which I have programmed on my G710+’s software as opening my browser, Google Chrome. Instead you are presented by a long list of different options and a Macro Recorder. This is useful for MMORPG /RPG gamers, however for someone like myself who plays FPS games, and uses the PC as a media hub, I would have liked to be able to map these keys to certain Windows tasks. Now, the most important part of this review and the build quality section, the QS1 mechanical switch. The QS1 is an in-house developed switch, which unlike other manufacturers that went away from Cherry MX switches and are using Chinese manufacturer Kailth’s switches (whilst naming it as their own) in their keyboards – SteelSeries have gone above and beyond in creating their own switch. This is nice to see as it brings another mechanical switch to the market. It’s near impossible for someone like me to test how reliable and accurate the switch is, however SteelSeries have quoted rate of 60-million actuations, whilst also proclaiming itself as the “World’s Fastest Keyboard” by having a lower actuation point (1.5mm vs 2mm). This all means that it’s softer to press and responds “quicker”. But to me personally, that doesn’t make it faster. To me the term “fast” is the speed of which the key is pressed to the PC registering it. I’m not sure there’s a test or one that I could realistically carry out – but I can’t imagine it being faster than the Cherry MX switches. In a nutshell, due to the switch being more easily pressed, at the same rated force of 45CN, it means it would seem faster to respond as you have to have to press with less effort. Make it as you will, but that’s the specs of the switch, but in realist terms, how does it perform? Well I found the switch to be very punctual, very easy to press and extremely responsive with excellent anti-ghosting capabilities. However the actual feel of the keyboard felt extremely similar, if not identical to one found in a rubber-dome mechanical keyboard. 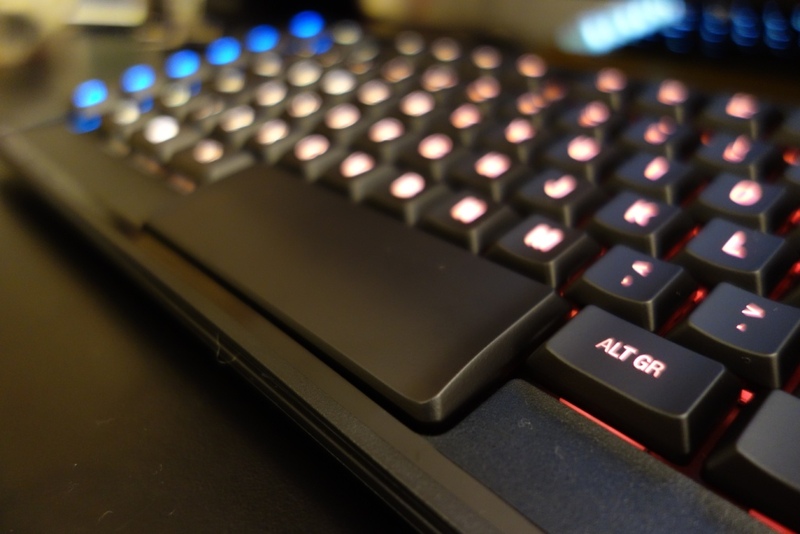 Now this can be seen as a huge advantage, as people moving from a rubber dome keyboard won’t feel that they have to adopt to a new way of typing or gaming, but would benefit from the faster, better responding mechanical key switches. 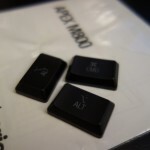 To me however, I felt that it didn’t give that extra “Vavavoom” that I like to feel when typing on a mechanical keyboard – the almost clicky/clunky-esk feel of a mechanical keyboard, which is found in Cherry MX switches (I personally use Cherry MX Browns, and prefer it among all the other Cherry MX switches out there). Now for me to explain the feel of this keyboard is quite simple. For those that don’t know what a mechanical keyboard is – then it’s a membrane rubber dome keyboard, but more accurate and responds better. For those that know Cherry MX switches, then it’s a MX Red, that’s a little softer and more low-profile. Overall, the switch is good, but for me it doesn’t really provide anything that aspiring or mind-blowing. It just feels like two other switches, both Cherry MX Red and a rubber dome and put into one. On the plus side, the switch works as intended and does provide a new switch on the market. I would also like to note that the switch is relatively quiet – in comparison to my MX Brown with black rubber O-rings, it was quieter, and in comparison to a stock MX Red, it made less of a clunk/click/actuation sound – The MX is a linear switch, so doesn’t have clicking sounds unlike the MX Blues, but in comparison to the QS1 does sound somewhat clicky. Now the design of the keyboard would have been covered in part in the build quality section just above. With that said, I thought to include a few other points that revert back the fundamental design of the keyboard and the thus the typing experience on it. This section, I feel is a little subjective, but with that said I feel it should be mentioned regardless. To me the design of the keyboard is really well thought out – it vastly improves over the previous Apex, which was overly big in my opinion (despite having its benefits). 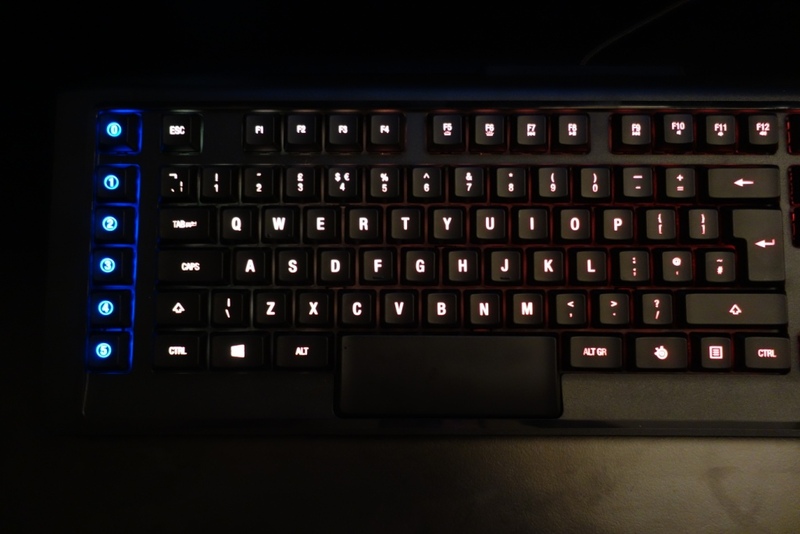 Now the overly big space bar is back – Hate it or Love it as 50-Cent once said, I really find it useful as an FPS gamer and someone that types a lot. The big spacebar means the position of your hand is flatter and therefore is good for your overall posture and hand fatigue. Furthermore, with it being easier to press, when gaming it requires less effort to hit the spacebar, as it has a greater physical area. 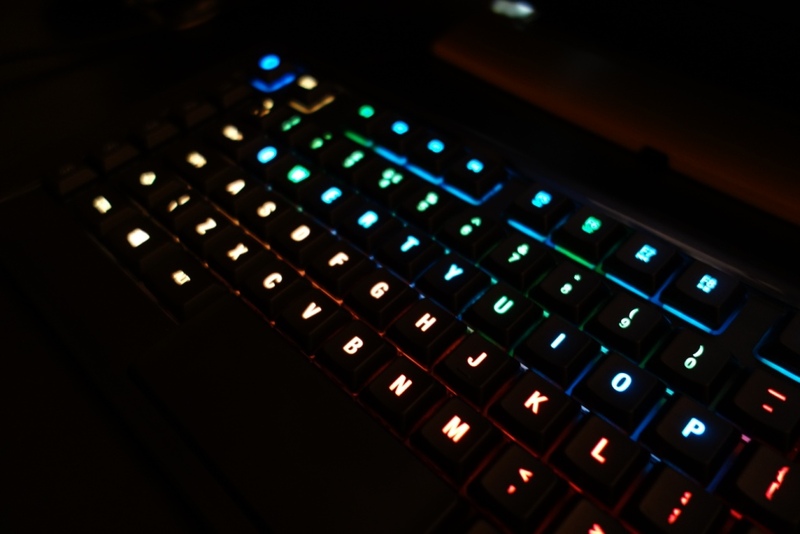 Now looking at the keyboard and it’s fully RGB lit keys, it’s great to see the design spanning past the keys and to the side of the keyboard itself. 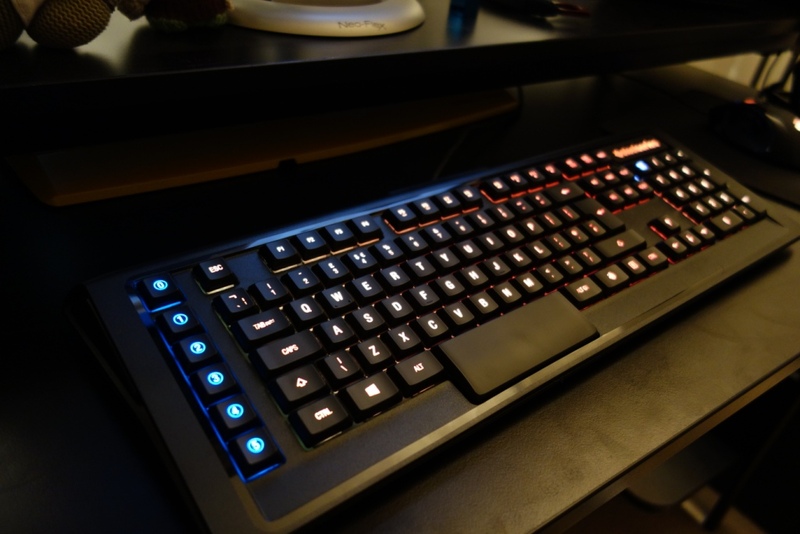 On the sides of the keyboard, there is also a small light that illuminates and it’s nice to see SteelSeries have included this, as it just adds that extra touch of coolness to it. However, one thing I noticed about the design of the keyboard, is the use of plastic. Now to me it’s not a big deal, but I can see people complaining about it, as it doesn’t ooze quality. I am however used to typing and paying sizeable amounts of money for full-plastic keyboards. On the plus side the keyboard isn’t a fingerprint magnet, due to its matte-esk finish. Again, one thing that really went missing is the lack of a wrist rest, which to me is a design-flaw and it’s a shame that it isn’t included. Overall the design is really well thought out, but could have been just that little bit better in certain areas. The software that’s included is sensational – it just feels like not long ago where the SteelSeries software was horrendous. It’s safe to say that over the last year, SteelSeries have really up their game (literally), with their software. 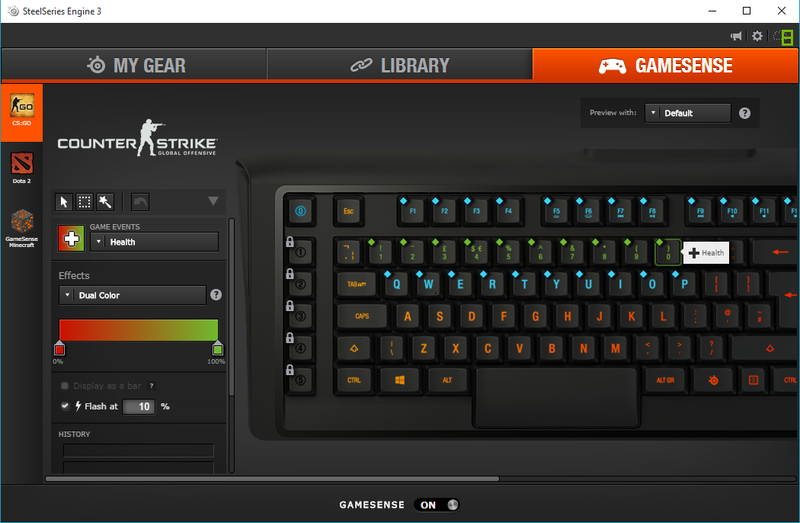 For the M800 you can literally do everything, including program the keyboard to play Snake! Yes the old Nokia 3310 game everyone played – which is fantastic, from a software standpoint. The software allows customisation in multiple different forms, such as changing how macros behave, to changing the key illumination of the software. Which is all pretty standard to some, but it works perfectly – and the fact you can customise every individual switch is excellent. 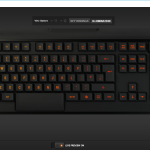 Just to add the icing on the cake, SteelSeries have developed GameSense. Essentially GameSense is a way of the keyboard communicating in real-time with what is being displayed on your game. Currently there are only a few games supported, which are Counter-Strike Global Offensive, Dota 2 and Minecraft. For me as a CS:GO competitive player, I really loved the inclusion of CS:GO – the integration is flawless and extremely responsive. Here’s a linked video from SteelSeries showing it in action in CS:GO. 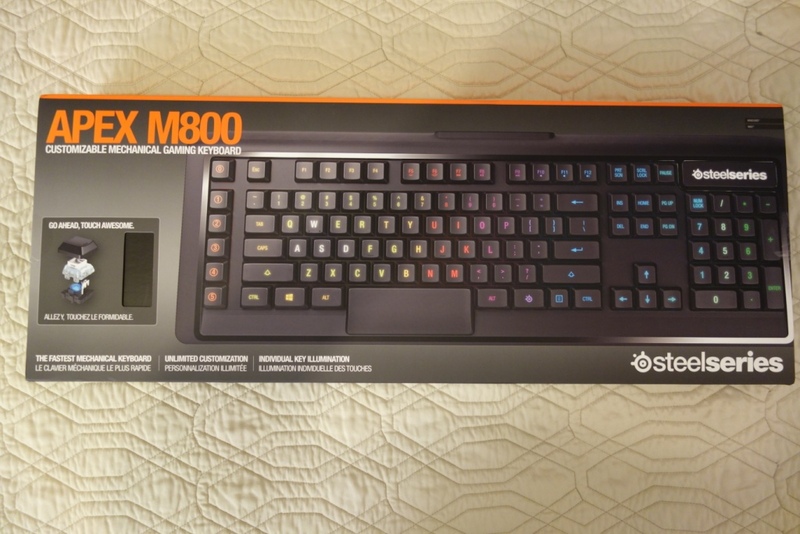 The fact that this is possible with the M800 is incredible, however for someone like me who games quite a lot – I don’t tend to look at my keyboard, meaning the feature is ultimately pointless – I’m not sure where or how it would be useful, but either way, I can’t downplay the fact that SteelSeries have developed this and integrated it into a keyboard that can utilise new technology and software like this. 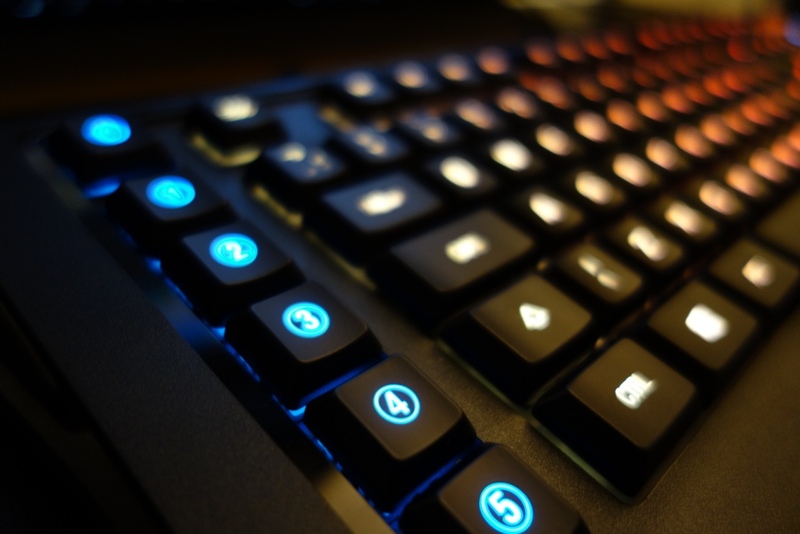 Who knows this might create a trend for RGB keyboard manufacturers and mean that more is done on the software side, that complements the hardware keyboard. Overall, the software is fantastic, but it was a shame that the macro keys (as mentioned before), can’t easily be programmed to simple Windows functions. 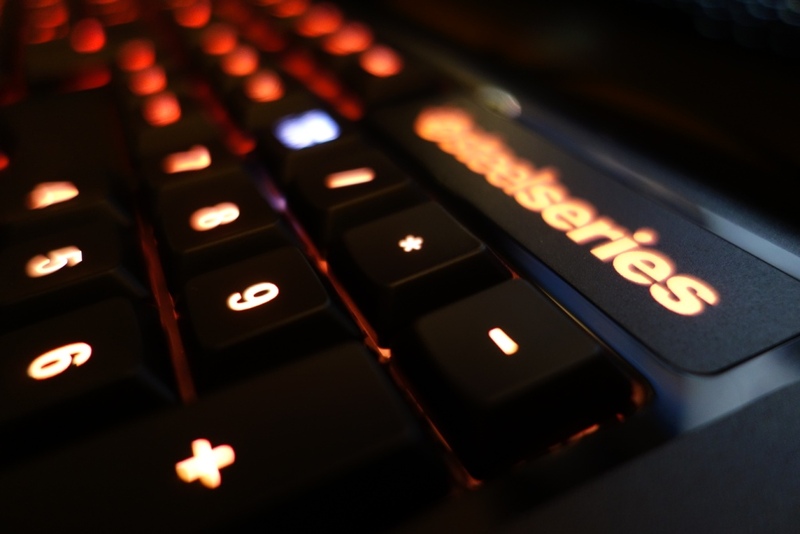 Overall, I really like what SteelSeries have done with their keyboard – there’s no real flaws with the keyboard and it works flawlessly. 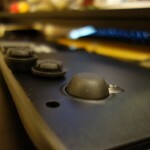 However, I never at any point in using the keyboard felt that it really brought something greatly useful or exciting. For example the new QS1 switch isn’t that special to me, GameSense is a feature I would show off to my friends, but then turn off and finally the lack of accessories mean you might have to purchase additional things to clean your keyboard. I should mention that as the QS1 switch is different, you cannot put any MX key caps on it, which for me having a few very cool keycaps, is a shame. In conclusion, if you’re looking for a fully customisable and programmable mechanical keyboard that simulates typing and gaming on a rubber dome membrane keyboard, then the M800 should be on your top to-buy list. Having read and watched most of Totallydubbed reviews i can honestly say there is nobody out there who gives a fair and honest review of gaming tech on the internet. 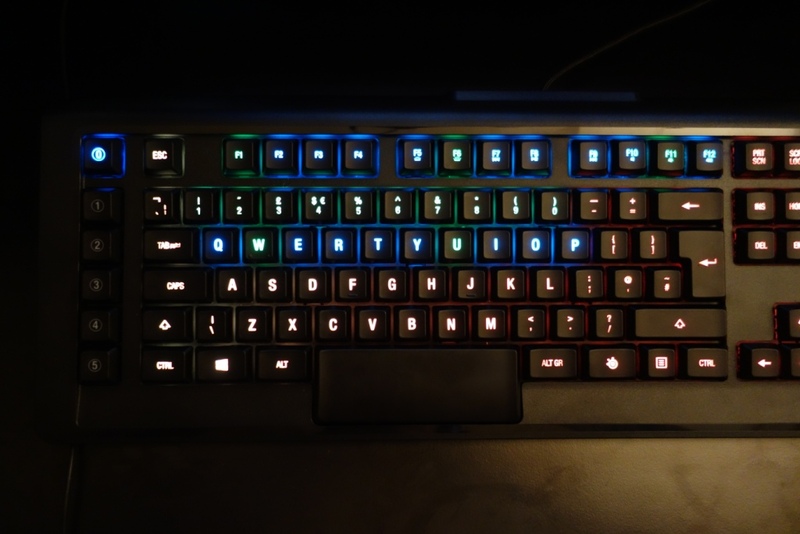 I would definitely use this keyboard to game with as i play a multitude of Mobas!! Will this help me carry you on CS though :D? A nice, in depth all round review as always. I loved the use of “Just to add the icing on the cake”. Looks like a professional review from something like PCGamer! Nice man, yeah the space bar can actually be really useful :)! Free is always a win bro! Aww <3 – Love reading these comments, thanks man! Haha Alex!!! “Dank” – classic! Nice overview as always! Love the 1080p60fps 🙂 . For me the main issue by a long way is the price, as a student anything more than £100 is a big deal. It looks cool as dicks (you can quote me on that), but I don’t really need that personally, certainly for the price tag it commands. I freely admit that I’m more likely to watch CS:GO and the like, than play it (though minecraft is a favourite) so the gamesense would be lost on me. In a few years if/when I put together a proper set up it would be something to seriously consider. Thanks for sharing Ben, as always :)! i believe this is the first keyboard i have seen with a 12345 along the left side,its an interesting concept and i can see uses for it. being dispraxic (co-ordination issues) and a gamer i can see a benefit for it. im more about appeal than performance so the lights are very appealing as well as that big space bar,the bigger the better! to see that its dota 2 compatible is another added bonus because being a moba gamer I struggle when it comes to finding a comfortable key binding system that suits me and although i played dota a lot before,after a hiatus to try other games out i ended up struggling to play as i did before,which again brings me to finding the use for the 12345 left side key concept. Thanks for the comment and input Gabrial! This guy! hes tottaly dubbed no story about that. Yeapp he’s the most honest reviewer out there, and he’s doing it for free, even when people wants to pay him he declines it. Who says no to free money? This guy TottalyDubbed, A ain’t gonna say no to free keyboard ? I’d use this amazing super cool keyboard for CSGO BABY! Overall great lad and great reviewer, good luck bois! peace out! I like the look of this keyboard and has a very sleek look to it. I like how this keyboard isn’t trying to be as in your face as some of the other gaming keyboards out there! Very nice review sir, of what I think is a very lovely looking keyboard. I never used a keyboard with such a big space bar in fact i don’t think iv’e ever seen one like that before. I do however loooooove the customization with this keyboard. As an fps gamer it is a very impressive keyboard but i do agree with you about the key caps do look flimsy . I don’t think the fact that the cable isn’t USB 3.0 would bother me at all and i do like the braided cable that’s a plus in my book not a fan of very thick plastic cables. 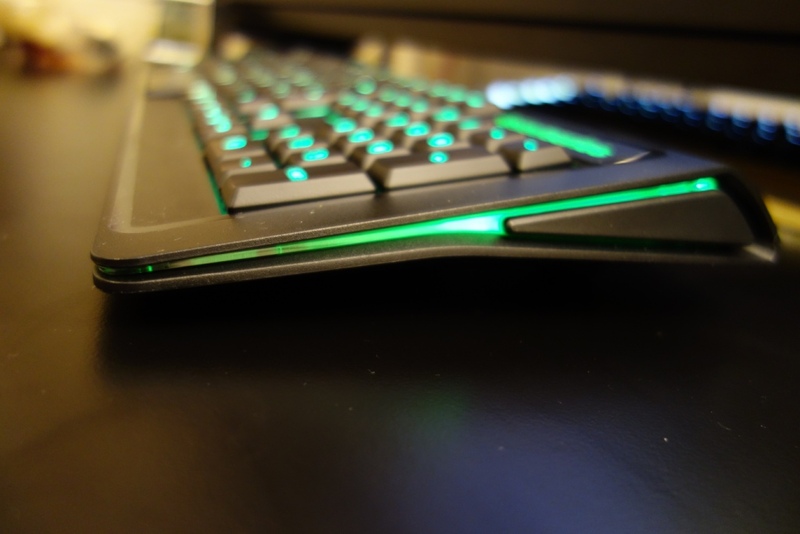 The overall design looks sleek to me, im loving the little strip of light on the side of the keyboard very nice touch. Anyway very good review thank you. This would be a nice addition to my setup 🙂 Keep it up with the reviews! Great review man! I think the steel series keys sound the best personally. Its just a nice balance between the clickyness (if that’s a word) and the silent membrane keys. The illumination is also really cool. Having total control over the lights is really good for my setup since I like to change colour often. If I won it would be used prodomenently for gaming. Just built my dream gaming pc but am using a keyboard from like the 90s ahaha. Was interested in this keyboard and found your you tube channel while searching for a review for it. Great review so you you got your self a sub 🙂 also the keyboard seems great as well hope im lucky enough to win. Thanks mate, best of luck! Looks good. Who can say no to a free keyboard? Nice review! Looking forward to more like that! As always Great review and presentation..
I’ve had my keyboard for about 5 years .. Which is the best keyboard for cs go atm? ?m a lenovo y510p laptop user bdw using the inboard keyboard?? There’s no specific one to be honest. I personally use Cherry MX Brown switches, some might prefer softer, membrane like M800 switches.